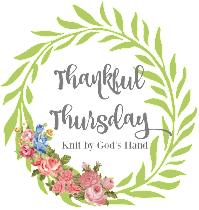 Knit By God's Hand: A Habit that needs BROKE! And working with the youth alot, this seems to be another reaction with my hands to my face! I'm joking... those kids in the youth are awesome... but how do you not include that classic movie picture? 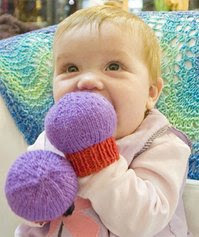 I just know if I dont break the habit, I'm going to have to knit me up a pair of these & see if they help! Anyone else seem to have their hands on their face all day? Is it just a computer thing or sitting at a desk thing? Yes, Rebecca...I find myself doing the exact same thing. We need to both kick the habit before we get acne like teenagers! Yikes! haha this post cracks me up. I have a bad habit of biting my lip or cheek while I'm thinking. . . my sisters make fun of me for it all the time! Hmmm, I never thought of it before but it may be a desk job thing because when I'm sitting here thinking and my face is in my hands as we speak! I have a different kind of hands on my face problem, I'm constantly picking at my face. I'm looking for anything to pick anywhere! i don't know how to help you..
maybe there is a 12 step program..
my daughter is always braiding her hair. and it bugs me to death. i wish i could get her to stop that! touching your face doesn't seem so bad! I was doing it while reading your post. I love those little booties on the babies hands! Yes, I do it too! I try not too - especially during cold and flu season. But it's definitely a bad habit!!! This post is hands down (pun intended) one of the funniest I've read in the longest time! I totally didn't see this one coming - love it! I went thru a year & half of Accutane in 2007-2008 - so that sure broke any habit I might have had with messing with my face....my lips however is my go to nervous habit. Also, I've got curly hair so I twirl up the curls when I'm sitting at a red light. That drives me nuts more than anything! This was a really cute post. I really dont know if I do that or not. But I do bite my fingernails alot....so my hands must be at least pretty close to my face. I do the exact same thing when I'm at work, sitting at my computer! I think I'm going to try the knitted gloves as well! All dang day!! And running my fingers through my hair. No wonder I look a hot mess by the time 5 rolls around. I do the same thing and end up breaking out. I get on my son for doing it because he breaks out but I don't listen to my own rules. i sleep with my hands on my face and I'm worried about the wrinkles I'm causing with the daily pulling and tugging. i don't know how to change it though! bad habit. Too Cute! And, yes, I too am sitting here at my computer with my hands on my face! !